Already a few changes have been announced and the rumour mill is filled with so many more but we shall wait until they are confirmed so here we go this is the officially confirmed for Ibiza 2019 so far. Their Opening Party will be held on the 11th May and confirmed so far is Luciano with many more DJ’s to be announced over the coming weeks, this is, without doubt, the opening party of the season. They have also confirmed the return of Elrow on Saturday nights from the 25th May the world’s craziest party in the world’s best club what’s not to love. Everyone’s favourite the Zoo Project is confirmed for Sunday evenings from the 5th of May where you can let your inner animal free each week. 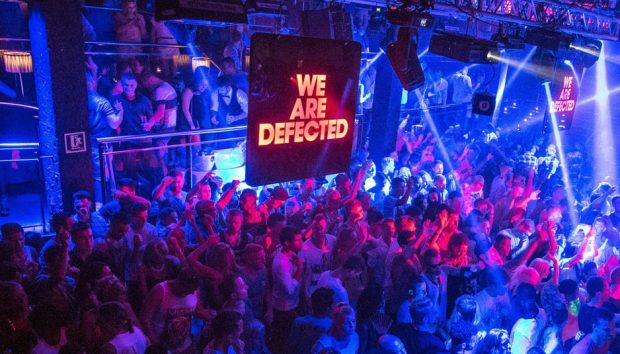 Defected returns to San Antonio for its third year but has moved to Friday nights for 2019. Taking over the Sunday nights is Toolroom Records with Mark Knight at the helm. Last but by no means least trance has a new home in the form of Paul Van Dykes Shine which has moved from the Vista rooms at Privilege to Eden for 2019 on Thursday nights. The opening party will be held on the 18th May as will the Ushuaia opening party meaning for those up for an all day all night party can just cross the road at midnight. Glitterbox returns to Hï but has moved from Friday’s to Sunday’s (the rumour mill is in overdrive over what could be coming to Hï on Friday’s but we shall stay quiet until all is revealed). Wow, the guys at Rocks have been keeping us on our toes throughout January with announcement after announcement including three in four days so strap yourself in here is what is confirmed so far at the home of the pool party for 2019. The Ibiza Rocks Opening Party will be held on Friday, 17th May. On Mondays from the 27th May until the 24th June Lovely Laura & Ben Santiago will return for their second year of pool parties after smashing it in 2018 where extra dates were added at the end of the season. Craig David TS5 pool parties see a return on Tuesdays between the 9th July and the 24th September. Brand new for Thursdays in June and September DJ EZ Eluzive will be hosting a brand new pool party. Thursdays in July and August will see the return of Rudimental and friends. 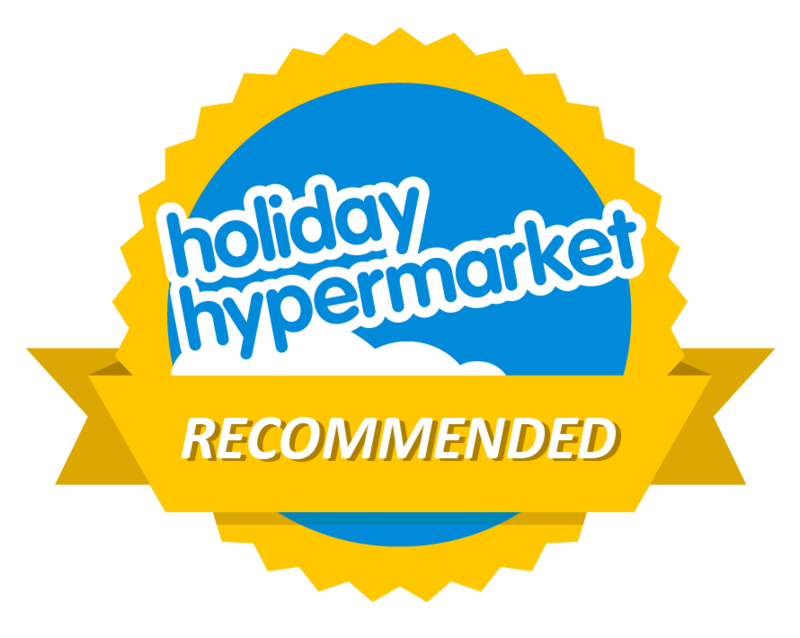 Lastly Cuckoo Land returns for Fridays from the 31st May until 27th September. They have just announced their whole summer schedule with bed and ticket bookings now available directly. Also for those social media fans this week Tony Truman gave everyone a sneak peek behind the scenes at O Beach as it gets more improvements and additions for summer 2019 which has got everyone talking. 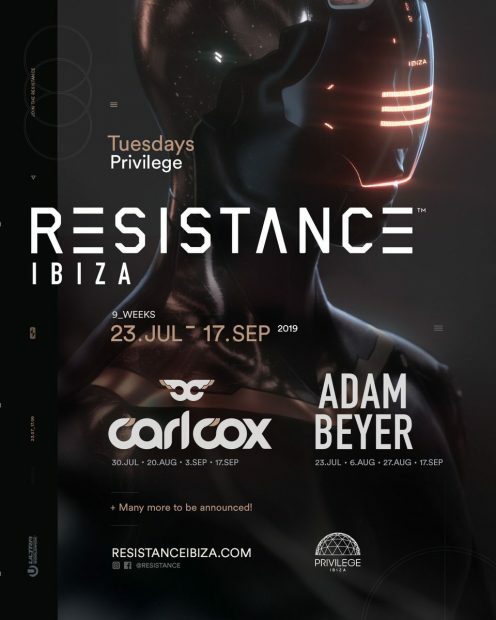 Lastly for this Ibiza January Announcements 2019 are Privilege who have confirmed the return of Resistance for 9 weeks this summer with Adam Bayer and Carl Cox as headliners including both DJ’s being on the decks for their closing party. This is one night not to be missed in Ibiza. So there you go its time to start crawling out from underneath that cosey duvet and time to start planning those flights, our summer flight timetable is here, booking those hotels and keep an eye on our Ibiza party calendar as more events are listed as they are announced. 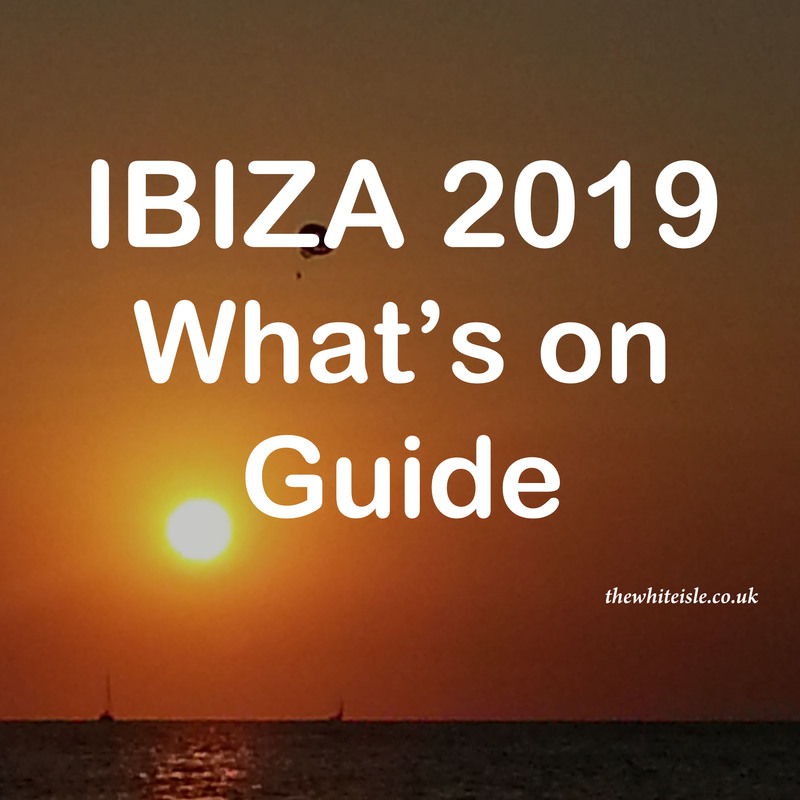 As always keep up with the blog for all the latest news, views and going ons as the summer approaches and if you have any questions re Ibiza 2019 then you can drop us a line here.